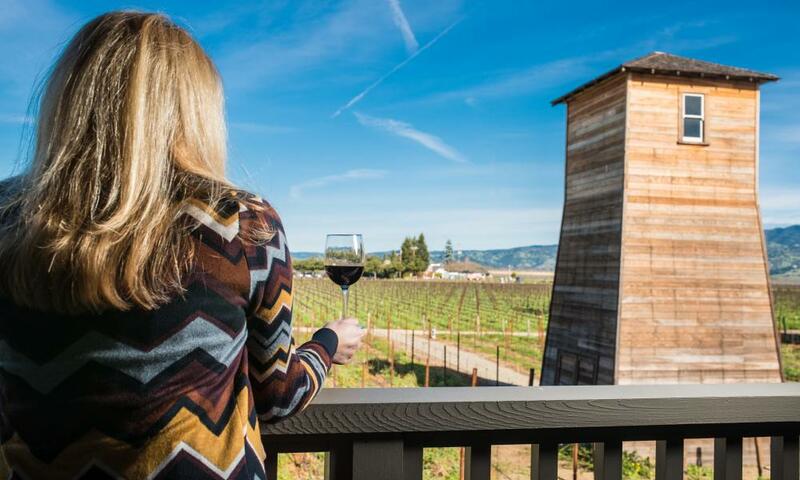 Napa Valley is often known for its romance but there’s another way to experience Wine Country, one that will put your focus on the natural beauty and abundance of this spectacular place. Travel alone. That’s right: Come here all by yourself. There are many reasons to appreciate solo travel – the flexibility to do what you want, when you want. You aren’t rushing to meet someone else’s time frame or stall while they’re still browsing in that antique shop. There’s no need for compromise – if you’d rather lie by the pool instead of going to yet another winery, you can. And traveling alone opens you up to serendipitous encounters that you wouldn’t normally experience. Even dining alone can end up being a novel pleasure, especially if you eat at the bar where there may be other single diners. Go for a run. The Westin Verasa Hotel in downtown Napa offers a running concierge who will run with you so you won’t have to go it alone in unfamiliar territory. They also offer a yoga concierge, so you can begin your day balanced and serene. Join a group. If wine-tasting alone doesn’t sound like fun, join a Platypus or Wine Trolley tour, so you can go with a bunch of soon-to-be great friends. Take flight. Book a balloon ride with Balloons Above the Valley. The glorious aerial view of the valley at sunrise will take your breath away and the silence will make it even more special. Get dirty. Calistoga has a long list of spas that offer mud baths and mineral treatments to soak the toxins and stress right out of you. Cook up a storm. The valley is filled with excellent culinary programs, including those at the Culinary Institute of America and the Silverado Cooking School. Float your boat. Go kayaking on the Napa River with Kayak Napa Valley or Enjoy Napa Valley. You’ll see a whole different side of Napa. Take in a matinee. St. Helena’s historic Cameo Cinema is a jewel-box movie theater that screens first-release as well as indie and foreign films. Dolby Atmos® sound system, plush seats, and real butter on the popcorn, as well as wine and Mad Fritz beer! Belly up to the bar. Why sit at a corner table with a book when you can sit up where the action is, chatting with the bartender and making some new friends? A few of the local restaurants where you can dine at the bar include TORC, SolBar, the Restaurant at Meadowood, Farmstead, R+D Kitchen, and Rutherford Grill. To create the perfect solo itinerary to meet your individual needs, visit the Napa Valley Welcome Center in downtown Napa.